Solomon Sibley was born on October 7, 1769 in Sutton, Massachusetts. He came to Detroit soon after the fort was handed over to the Americans in 1796. In October of 1802, Sibley married Sarah Whipple Sproat. Together they had eight children: Ebenezer Sproat, Katherine Whipple, Henry Hastings, Augusta, Mary, Alexander Hamilton, Sarah Alexandrine, and Frederic Baker. In January of 1779, Sibley was elected to the General Assembly of the Northwest Territory as a representative of Wayne County. In the second election after Detroit was incorporated as a town, by the Act of 1802 which he helped pass, Sibley was elected Chairman of the Board of Trustees. 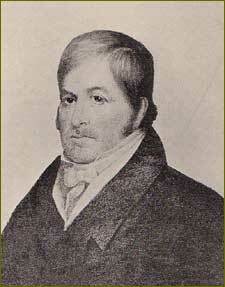 In 1806, he became the first Mayor of the TOWN of Detroit. From 1814 to 1817, Sibley was Auditor of the Territory. From 1815 to 1823, he was a US attorney. From 1821 to 1823, he was a Michigan Delegate in Congress. From 1823 to 1837, Sibley was a Supreme Court Justice of the Territory. Sibley died in Detroit on April 4, 1846.